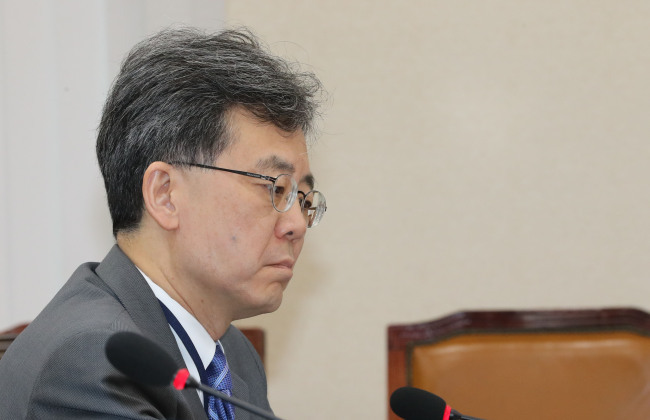 South Korea's trade minister will attend a meeting of the World Trade Organization this week to discuss its reform measures, his office said Monday. Kim Hyun-chong will visit Davos, Switzerland, on Thursday and Friday to join a 30-member ministerial meeting on ways to reform the embattled institution. The Swiss trade minister will host the gathering on the sidelines of the World Economic Forum in the resort town. Kim will attend talks to discuss measures to recover confidence in the multilateral rule-based trade system that has been hurt by escalating trade protectionism. He will express support for the need to create a set of WTO rules to cope with the spread of digital commerce rising from the so-called fourth industrial revolution. In addition, he plans to hold one-on-one meetings with participating trade ministers to discuss bilateral issues, including his counterpart from Britain. In October last year, Canada hosted a 13-member ministerial meeting in Ottawa in the face of growing trade protectionism.